Digitimes reports that Taiwan's Electronic and Optoelectronic System Research Laboratories (EOSRL, part of ITRI) has launched a project that brings together PlayNitride, LED driver IC designer Macroblock and PCB maker Unimicron. 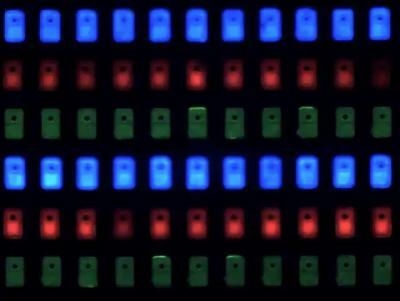 The project aims to develop high-density Micro-LED displays. EOSRL plans to demonstrate first large-size signage display prototypes in H1 2018 with trial production to begin by the end of 2018. PlayNitride's part of the project is to develop Micro-LED wafers without a sapphire substrate. The PCBs will be developed by Unimicron and EOSRL is developing a mass-transfer technology (to move the LEDs from the wafers to the PCVs). Macroblock is developing the driver ICs. In September 2017 it was reported that EOSRL is developing 60-100 inch indoor micro-LED displays in collaboration with Macroblock. It may be that this is the same project but now we have more details and a couple of new partners. In April 2017 it was reported that Samsung is aiming to acquire PlayNitride, but that did not happen (yet).